we turn your dream wedding into a reality! 1-Host is renowned for its signature events — elegant garden solemnisations, breath-taking sky-high parties, as well as beautiful park events. Our team of experienced event planners, together with our F&B specialists, premier venues and professional partners, will orchestrate your special day the way you have envisioned it, starting from its conceptualization and planning, till the last guest leaves and everything is packed away. As Managing Agents for the venue spaces at Fort Canning Park, HortPark and Singapore Botanic Gardens, 1-Host is pleased to include gardens and buildings in these parks under its exclusive offerings for venue bookings. In the past year, Host has successfully organised over 2,500 weddings, private parties and corporate events. Would like to give a huge thumbs up for our coordinator Tang Hui Yi for her excellent work during our wedding at The Summerhouse! 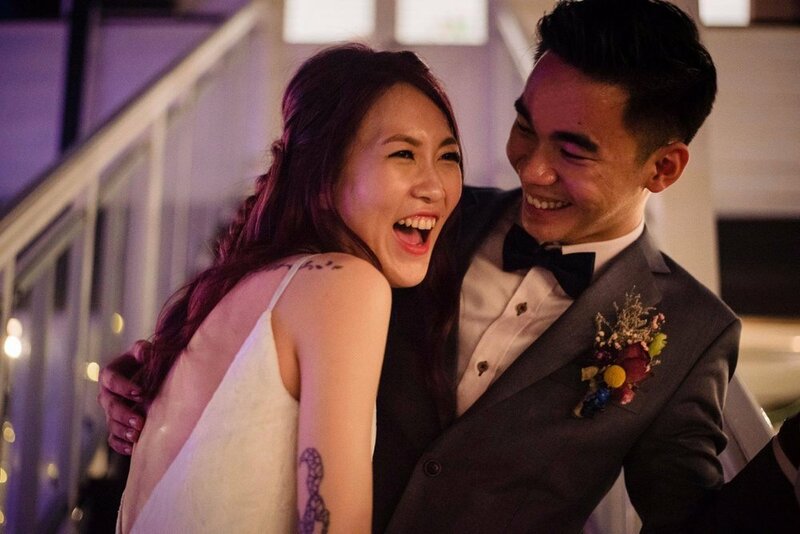 My wife and I had little to worry during the planning as Huiyi was working hard and ensuring that the wedding dinner was going according to plan. She was proactive in giving suggestions and solutions to our problems. She even went a step further by meeting us during her day off to confirm our itinerary. During the dinner, she took the initiative to ensure our guests were well taken care of! The guest has feedback to us that their night was memorable and Huiyi together with the staff at summerhouse were very professional. She was there during the dinner ensuring everything was running smoothly and was especially attentive in taking care of the bride and making her feel comfortable during and even after the dinner. We would like to extend our deepest gratitude and thanks to her and the team for making our wedding night a very memorable one. Well done and 2 thumbs up! Would like to commend Hui Yi for her excellent service during my friends Nathan & Michelle’s wedding. Very friendly, efficient and on point service! Alternatively, you may reach us at info@1-host.sg or 6773 0060.